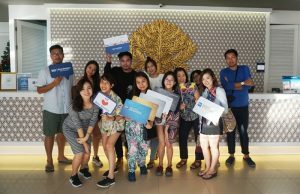 Phuket (Thailand) – January 4, 2018 (travelindex) – Best Western Hotels and Resorts organized an exclusive media familiarization trip to Phuket this month, inviting a series of influential and up-and-coming bloggers to the island for an action-packed three-day itinerary. “Phuket is one of the world’s most popular resort destinations, attracting an ever-increasing number of domestic and international visitors to its pristine shores every year. But there is more to Phuket than just sun, sea and sand; our immersive fam trip was designed to introduce our media friends to the cultural experiences that make Phuket such a fascination destination,” said Olivier Berrivin, Best Western’s Managing Director of International Operations – Asia.